Feelin’ hot, hot, hot: Fall’s just around the corner. So what better time for famous boutique hot pot concept Quan Alley to open its first overseas branch in Harbour City? Look & Feel: Quan Alley boasts an easy-to-get-to location with striking views of the harbor. Interiors are flashy, with traditional lazy Susans set against a combination of artfully distressed wooden wall treatments and flamboyant floral murals. Silver vases and birds-cage-like pendant lights glitter on and above the tables. 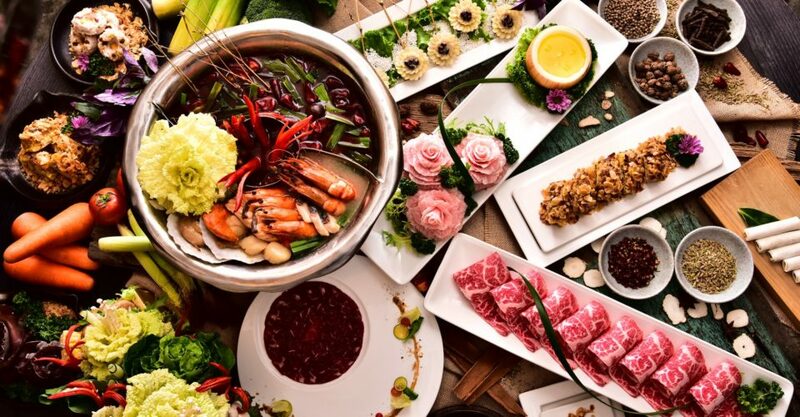 On the Menu: Originating in Taipei, Quan Alley presents a vast array of hotpot soup bases and ingredients, which are all prettily plated. Expect thin slices of pork neck carefully arranged to look like flowers, or seafood frozen in the shape of ice pops. 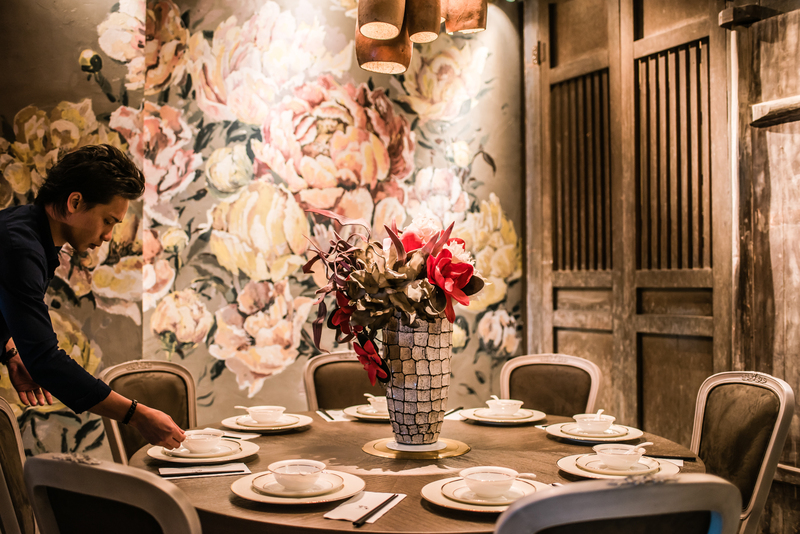 Of particular note are the Floriculture in Vogue, a vegetable dish presented in a basked created in consultation with a French floral artist, and the Spicy Hot Pot Soup Base, which features 15 Sichuanese herbs and is fermented for a full week before it’s served. Great For: Big family dinners or friendly gatherings. Good hot pot with more pizazz than your regular comfort food chain joint. FYI: The restaurant offers three VIP rooms, each accommodating 10 guests.